The L.A.-based medical group notes that a healthy diet and exercise regimen may help some individuals lose a modest amount of weight, but for individuals with severe obesity, only bariatric procedures are effective. Ericka lost over 60 lbs with the Lap Band. This information…highlights the reality that a great many people with severe obesity face – conventional weight loss methods are simply not effective in remedying the problem. More than a third of American adults are considered obese, says the National Institutes of Health, so it is not surprising that bariatric surgery has received increased attention in recent years, as an article published May 18th on the Baltimore Business Journal explains. Of course, when it comes to weight loss, most people are familiar with the basic requirements of maintaining a healthy diet and exercise regimen. However, according to Dr. Christopher You, a medical director quoted in the article, “individuals who are severely obese are resistant to maintaining weight loss achieved by conventional therapies.” This means that, the more weight an individual with severe obesity needs to lose, the harder it can be to actually lose it, not to mention keeping the pounds off in the long-term. The article goes so far as to say that, keeping the weight off in the long-term is “nearly impossible for those affected by severe obesity by any means other than bariatric surgery.” Los Angeles based medical group Beverly Hills Physicians (BHP) explains that this information jibes with the experiences of its former and current bariatric patients, and highlights the reality that a great many people with severe obesity face – conventional weight loss methods are simply not effective in remedying the problem. BHP explains that its highly experienced surgical team regularly performs a number of weight loss procedures that consistently help its patients improve their lives. One of these, the Lap Band procedure, is a minimally invasive procedure intended to help patients feel fuller faster than previously from smaller meals, BHP notes. In fact, former presidential candidate Chris Christie is well-known for having lost nearly 100 pounds with the Lap Band. As the patient loses weight, the band can be adjusted by a bariatric surgeon for comfort and effectiveness. Because every patient is different, BHP’s bariatric team can help choose the right procedure for him or her. Another weight loss procedure that is becoming increasingly popular is the gastric sleeve. This procedure involves removing a large portion of the stomach tissue, forming a sleeve-like shape that also reduces the stomach capacity. As an added benefit, the procedure curbs the release of ghrelin, the hunger hormone responsible for the “craving” sensation that compels many people with severe obesity to eat more, and more often, than they often intend to. For patients who are not considered severely obese, the Orbera gastric balloon, a temporary non-surgical procedure, is also available. For any weight loss procedure, outstanding patient care is the highest priority. 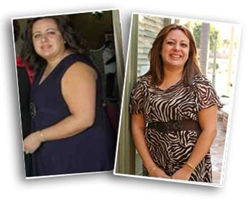 For additional information on the successes Beverly Hills Physicians and their patients have achieved, to learn more about weight loss medicine, or to schedule a consultation, interested readers are encouraged to call BHP at 800-788-1416 or visit the medical group online at http://www.BeverlyHillsPhysicians.com.